At a time when the trivial and the superfluous are celebrated even in the academic circles the publication of a theoretical book with polemical potential is a welcome event. The happiness is doubled when the reader finds that the book is written in the sphere of fine arts because theoretical works are comparatively lesser in fine arts than in areas like literary criticism or philosophy. The book we are referring here is BHARATHEEYA LAVANYA VICHARAVUM KALPARASPARYAVUM (Thoughts on Indian Aesthetics and interdisciplinary Aspects of Arts) by Vijayakumar Menon, arguably the best critic and scholar in fine arts in Malayalam language. 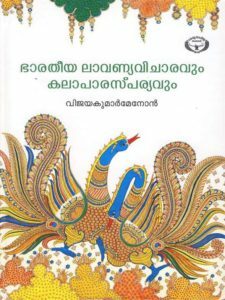 The book, written in Malayalam, is published by Kerala Sahithya Academy. In a Telephonic interview given to OpenArt he revealed the names of the eminent writers who persuaded him to write the book. They were K.P.Narayana Pisharody and M.P.Sankunni Nair, scholars in Sanskrit and Malayalam, and M.T.Vasudevan Nair, novelist and Gyanpeeth awardee from Kerala. In the interview he went on to describe the polemical aspect of the book, which emanated from the juxtaposition of fine art with other forms of art like literature, drama, dance etc. and placing it in the perspective of the ancient Indian theoretical perspective. 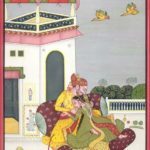 The juxtaposition itself is an invitation for Menon to enter into a debate, for there is a prevailing notion that fine arts, unlike literature and drama, are not compatible with the Indian aesthetic theories. The logic that holds the notion can be explained by understanding the nature of a key term SANCHAREEBHAVA. In Indian aesthetics the emotions transmitted from a work of art are called BHAVAS. BHAVA is divided into two categories namely STHAYEEBHAVA and SANCHAREEBHAVAS. STHAYEEBHAVA is the permanent and pervading emotional make up of a character, while SANCHAREEBHAVAS are the transient and the multiple emotions that bombard the character continuously. The resultant of the dynamics between the permanent and the transient emotions make the emotional sketch of every character. 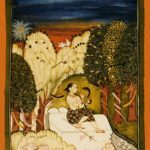 Another difference between the STHAYEEBHAVA AND THE SANCHAREEBHAVAS is that while the former, being constant, is unrelated to time, the latter lives and dies in time. Here they come to the crux of their argument: Painting and sculpture, having no time factor in their making, don’t allow the SANCHAREEBHAVAS to make their entries into their body. 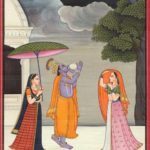 As the Indian aesthetic takes the position that it is the Interplay of the constant and the transient emotions that brings the salvation of every art form both painting and sculpture cannot attain such a sublime height as they don’t allow the transient emotions (SANCHAREEBHAVAS) to have any role in their transmission. Vijayakumar Menon gives an excellent counter argument to defeat this notion. He says such a wrong notion is largely a creation of literary critics, who saw painting and sculpture not as fine art but as literary pieces. They were blind to the signs encoded into the body of the painting, which signified interplay of emotions in a subtle and oblique manner. 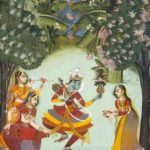 Such coded signs can be seen in the background of old Indian paintings where one may find trees and foliage. The way the foliage is depicted gives a clue to the emotions which the artist wants to convey. For instance, if the trees in the background have their tips drooping down the signification is that of melancholic emotions in the minds of the characters which are drawn prominently in the foreground. Similarly, the moonlight, colour schemeused , the types of birds and creatures drawn in the painting also have emotional signification. In other words, Menon emphasizes that one needs to understand the semiotics of painting in order to get a feel of the permanent and transient emotions encoded into the body of paintings and sculptures. The literary critics who were ignorant of this coded language failed to read the emotionsinterwoven into the text of such works of art. 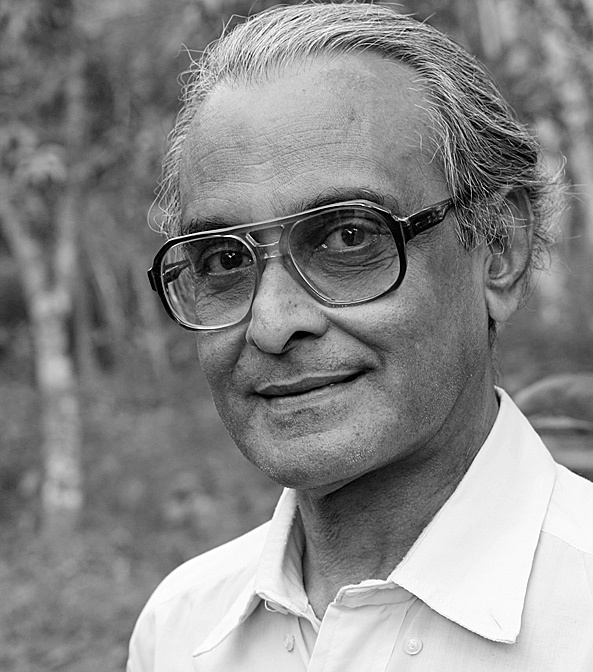 In the telephonic interview, Vijayakumar Menon went on to point out the religious symbols used extensively in frescos and murals found in some temples of south India. Here also appreciation of art demands a basic knowledge of the semiotic conventions which the art shared with the society in which it originated. 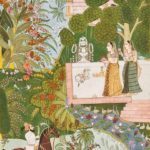 The importance of this work is not limited to placing fine art in the perspective of Indian aesthetic traditions. The book’s real success is in making a historical and theoretical assessment of the transaction of ideas among all manifestations of creativity including fine art. The book is written with logical rigor, and in a lucid language that bears the signature of the author.